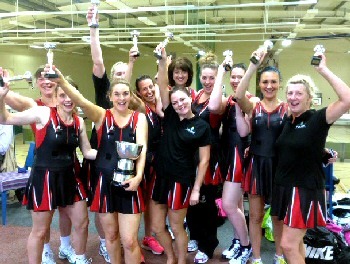 Merseyside Police Netball Team are celebrating success! MERSEYSIDE Police Netball Team showed their opponents they had really 'Met' their match when they beat their Metropolitan Police rivals in the Police Service UK Netball Final 2015. Since their success winning the National Police Cup in Nottingham in June 2014, the team has also gone on to win the:- 'Lily Cup' and 'Fight For Life' tournaments against teams from all over the North West. Team manager, Inspector Amanda Fogarty, said:- "It was a tough game and the Met had some very impressive and strong players. The sports hall was extremely hot, which is something we are not used to up North! 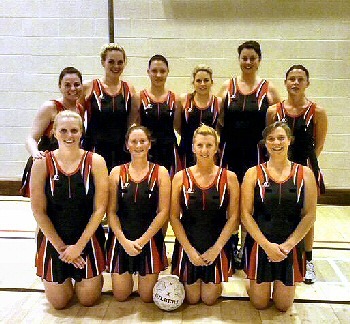 Merseyside ladies pulled out all the stops and beat the Metropolitan Police 47 to 25. Our team were overjoyed, as we haven't reached the final for the last 2 years." The Merseyside Police team have added to their collection of silverware this season, winning the Liverpool League 2014 to 2015, Cheshire Elite League (County), Liverpool Cup and the Annual Police Netball tournament which was held in Exeter, in September 2014. There are currently 2 teams, made up of approximately 25 police staff, who play in the Police national cup and the Liverpool Netball league. The teams have been going for over 30 years, but have had the most success over the last 5 to 7 years. Inspector Fogarty added:- "We are hoping to expand to a third team as the interest from female police officers and police staff have increased over the last couple of years." Chief Constable Sir Jon Murphy said:- "The netball team are fantastic ambassadors for the force. It is great to see people getting involved in sports and being successful in their interests outside of policing and playing and practising in their own time."